Kochi Method SHIATSU is a treatment method where we incorporate the unique techniques of this method to soften muscles and stress relieve techniques to SHIATSU. We intend to learn Kochi Shiatsu massage Method® Class with 8 or 9steps. 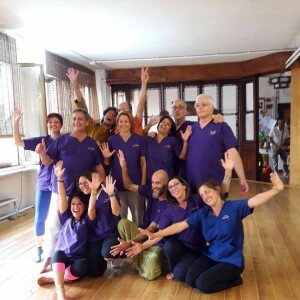 Learning the straordinal theory and method by which you can eliminate or alleviate physical pain and a sence of disconfort, you can provide a grand benefit to the shiatsu-operators and patients. 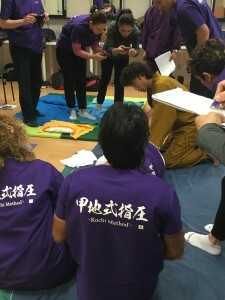 The Kochi Shiatsu massage Method® Technique is applicable technique to all of the cases, so is helpful not only for beginner but also for professional. Kochi Method SHIATSU is a treatment method where we incorporate fast muscle softening and mental stress relieving techniques into SHIATSU. We learn full body SHIATSU centered around SHIATU on the Neck, Shoulders and the Lower Back. Basic position of your thumb, Basic posture for applying pressure, SHIATSU on the Neck, Shoulders, around the Shoulder Blades, Lower Back and Legs, Muscle softening techniques for the Neck, Shoulders and the Lower Back, Jackson Test, SLR test, etc. By doing correctly SHIKAN, the condition of the human body becomes better on the spot. This is a method that uses the theory of the link between muscles unique to Kochi Method and can quickly soften muscles that have become tense from fatigue. The changes that occur in the muscles are so rapid, you can feel it through your hands and it only takes about 60 seconds. We can see an improvement in the client’s condition in the same instance. 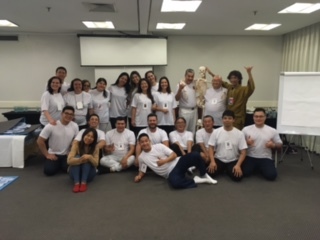 The principal behind why the muscles soften (Class Work), The link between muscles, Treatment methods for the Splenius Muscle, Upper Trapezius Muscle, Scalene, Levator Scapulae, Rhomboids, Quadratus Lumborum and many others, Stretches specifically for Back Pain. Treatment method that can remove chronic back pain in 10~15 minutes. A unique inspection method that can determine the source of the back pain. Back pain is more often caused by a completely different location. Kochi Method can find the source prior to the treatment. Because of this we can relieve the usual chronic pain in around 10~15 minutes. You will be learning a fast back pain treatment method that will surely surprise you. 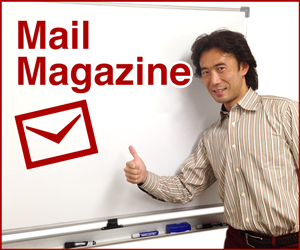 ※The video and information material about the treatment of Kochi Method SHIKAN（Application）are sent for every participants. The last theme on level 4 is knee pain, because there are numerous possible causes you will be learning high level techniques that mixes what you learned up to level 3 with some new content. You will also learn some powerful Energy Techniques that can make maximize mental powers which will improve the physical balance so fast that it will surprise both you and the client. You may even be referred to as a Therapist with God Hands. Kochi Method is also effective on Knee OA. This is due to a very important method. Kochi Naoya(the founder of Kochi Method) presents you with diploma which acknowledges the tecnique of Kochi Method. We introduce clients for you. You can receive assistance needed to begin your own practice. 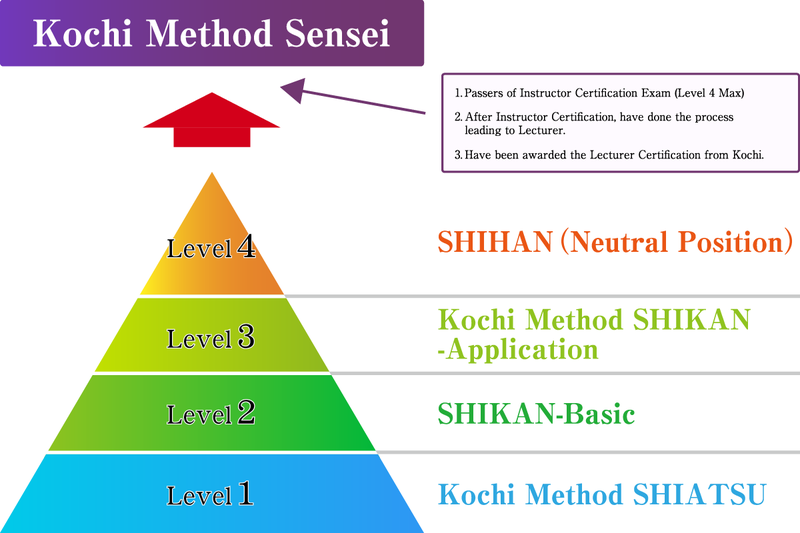 On the website of Kochi Method, we introduce you as a person who has gained the diploma which acknowledges the tecnique of Kochi Method. We give instruction to you in other new techniques on the seminar limited to the persons who have gained the diploma which acknowledges the tecnique of Kochi Method. We invite you to the special group limited to the persons who have gained the diploma which acknowledges the tecnique of Kochi Method. We test to see if you understand the flow of the treatment, how to apply pressure, and the link between muscles. Whether or not muscle relaxation is happening. The founder Kochi himself will be giving you all some advice individually, and people who passed will receive level 5 Certificate. Here we test you skill in one of the more important theme of Kochi Method, your techniques for muscle relaxation through the link between muscles. We test to see if you’re able to treat the muscles in the Neck, Shoulders and Lower Back properly. Direct advice on touching the muscles and treatment posture. There will be written and spoken tests as well. Pass the tests and you will receive a level 6 Certificate. We look to improve you’re your inspection skills. We test if you’ve mastered treating the lower back pain cause by bending forward and/or backward. If you’re able to do the appropriate treatment after finding the source. If your approach on the back pain correct. The testing treatments will be on Kochi. This will be an overall test, pass this and you earned the Skill Certificate. You will be officially recognized as a Therapist who learn the proper use of Kochi Method. The Certificate will be handed to you by the founder Kochi himself. *In the case where there are no Certified Instructor Kochi will handle the lectures all the way. *The participation feeprice all-inclusive for Kochi’s Seminar in levels 5 to 9. *For information on Certified Instructor and Organize Seminar please contact whoever is in charge of it at the time. This is your chance to become a Kochi Method Seminar Teacher! 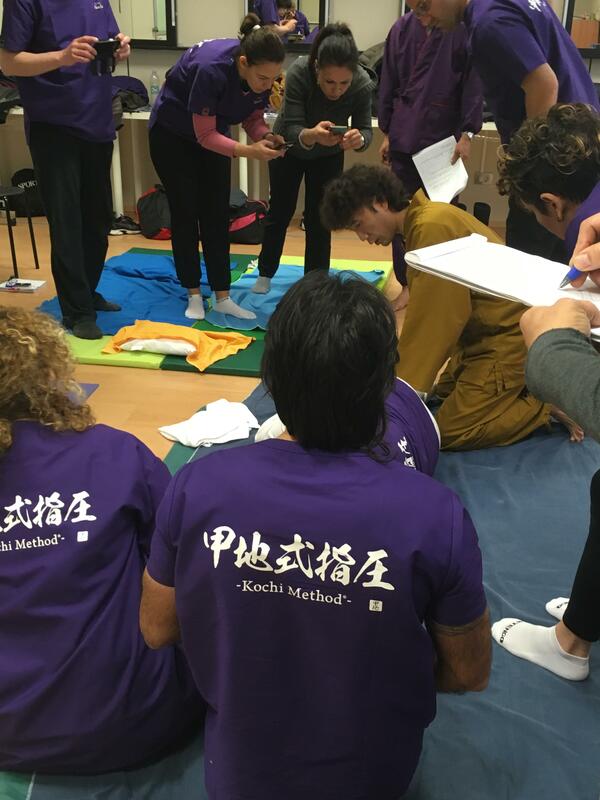 Would you like to be a Kochi Shiatsu massage Method® Seminar teacher? This will allow you to have some jobs. Until you are able to actively work as a Teacher Kochi will support you.